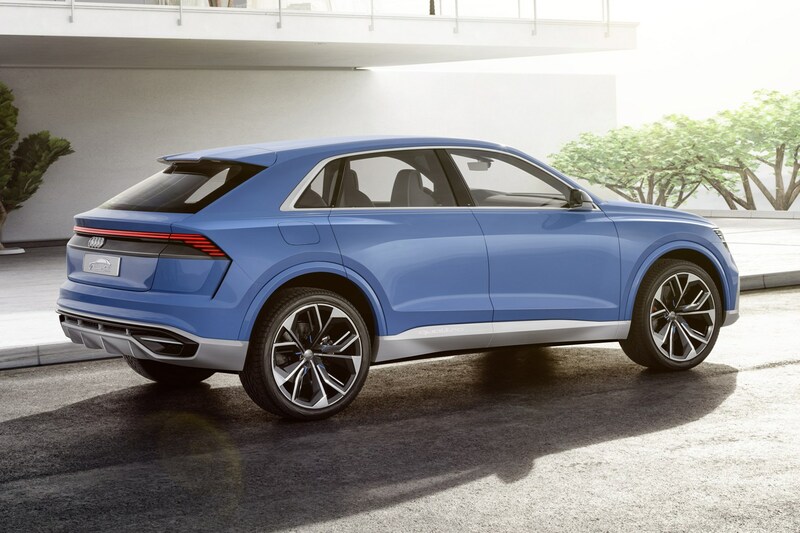 Designed as the flagship model in the Audi SUV range, the Q8 employs coupe styling traits and an all-round sportier image to the Q7 on which it is based. Wind back fifteen years and such a bodystyle would be largely unheard of, but BMW’s X6 and, latterly, the Mercedes-Benz GLE Coupe opened up a now popular niche to mainstream car buyers. 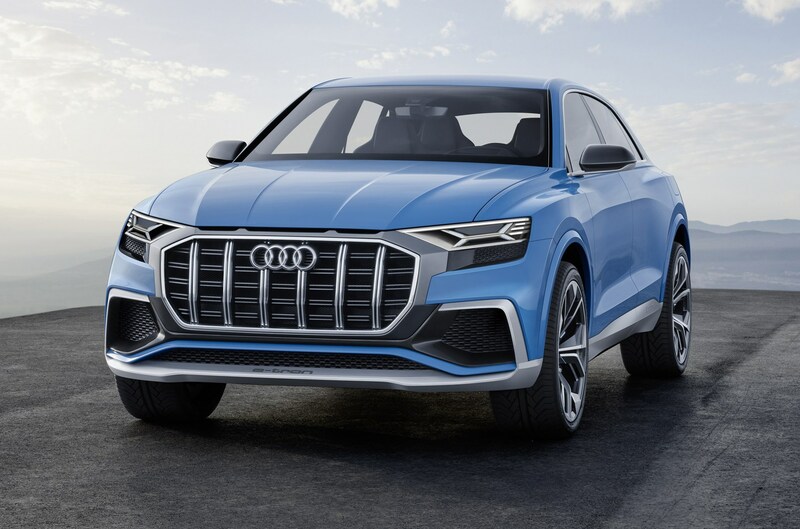 Along with other rivals, including the Range Rover Sport and Maserati Levante, coupe-SUV crossovers have been tempting buyers out of equivalent coupes and saloons for years and Audi knows this. 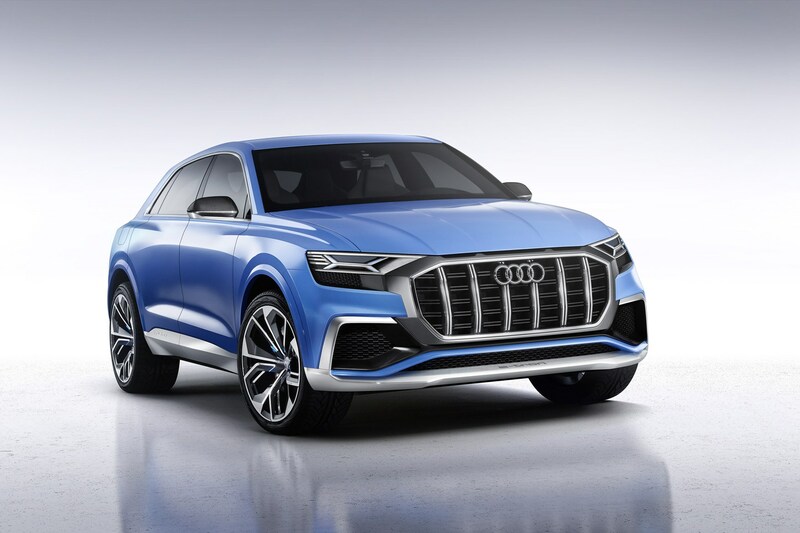 Hence why it’s thrown everything it has at the Q8, even giving it the brand-new cabin design of the A6, A7 and A8 – something which is yet to debut on the Q7. 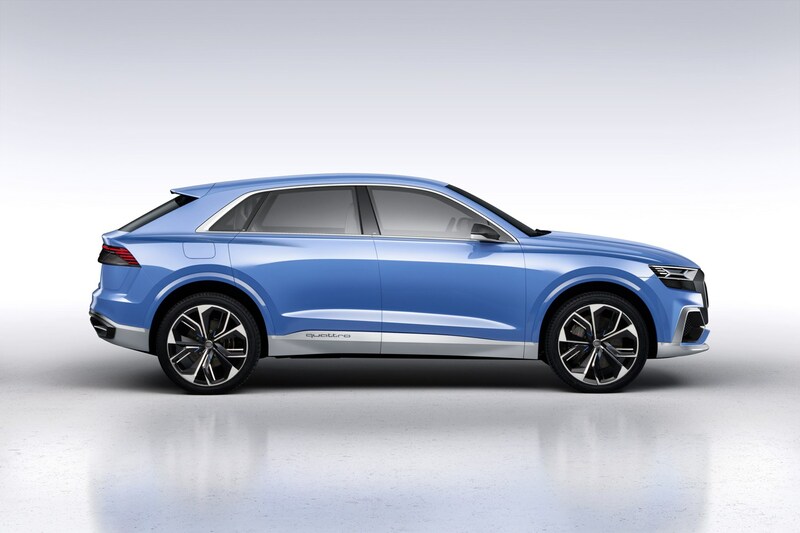 Is Audi’s new kid on the block a worthy contender? Read our full review to find out. 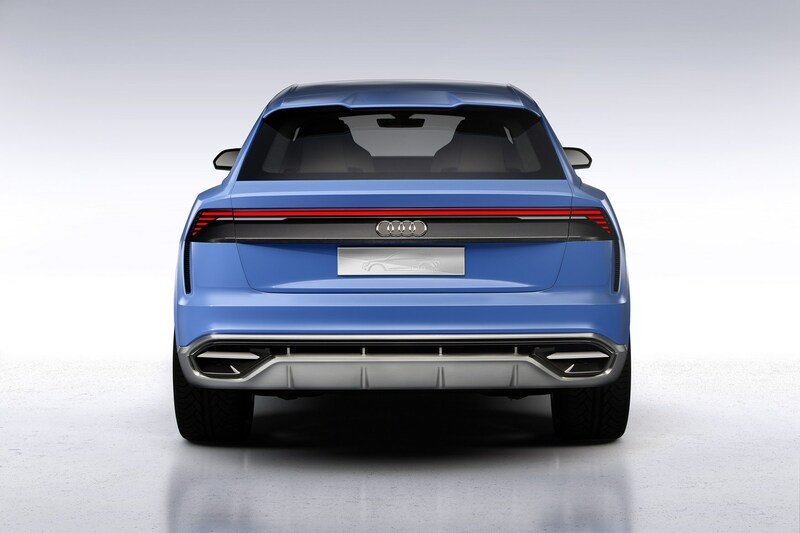 Designed to combine SUV practicality and presence with the sporty lines of a coupe, the Q8 features a shorter, more aggressive front end than its Q7 sibling, also displaying a chamfered-off rear roofline to give a more sweeping profile. 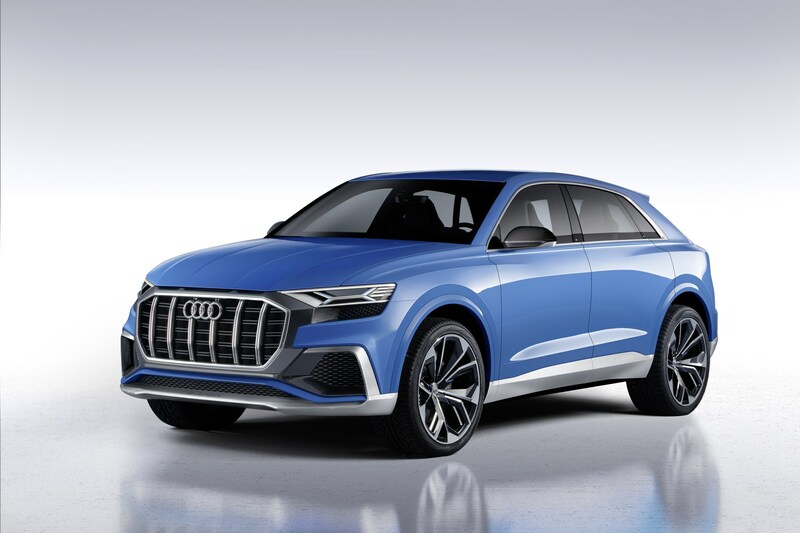 Other notable design elements include the frameless doors, octagonal design radiator grille (the new face of Audi Q models) and – in a nod to the original Audi Quattro sports car – blisters over the rear wheel arches. 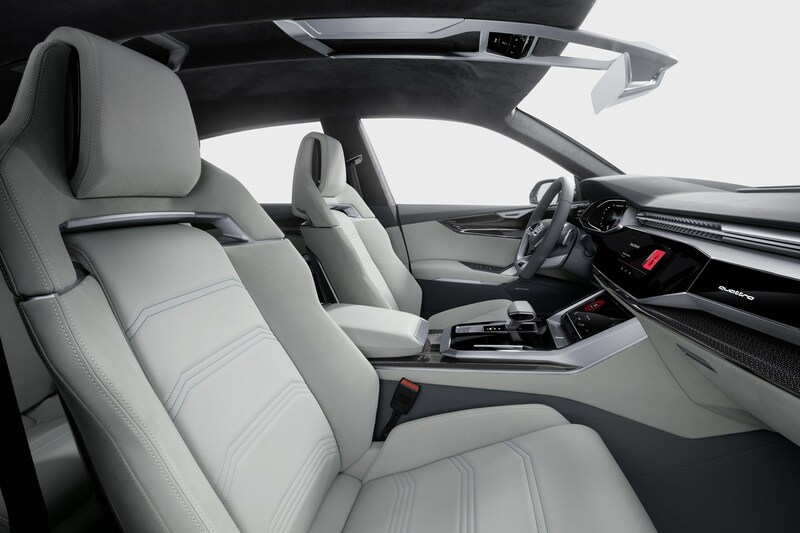 Showcasing Audi’s updated interior design – also seen in the A6, A7 and A8 – the cabin is dominated by two central control touchscreens and the now commonplace Virtual Cockpit dashboard. 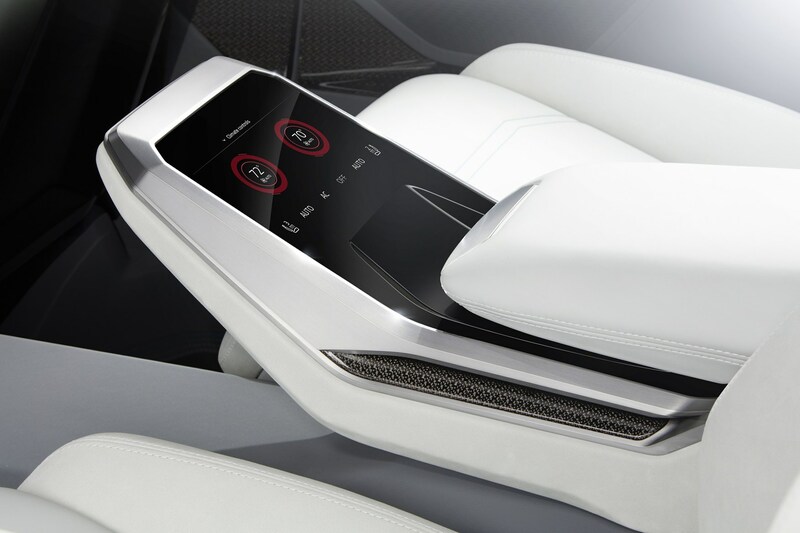 Of the two primary screens, the upper display measures up at 10.1-inches and allows control of the car’s media, sat-nav and Audi Connect systems as well as other general settings. 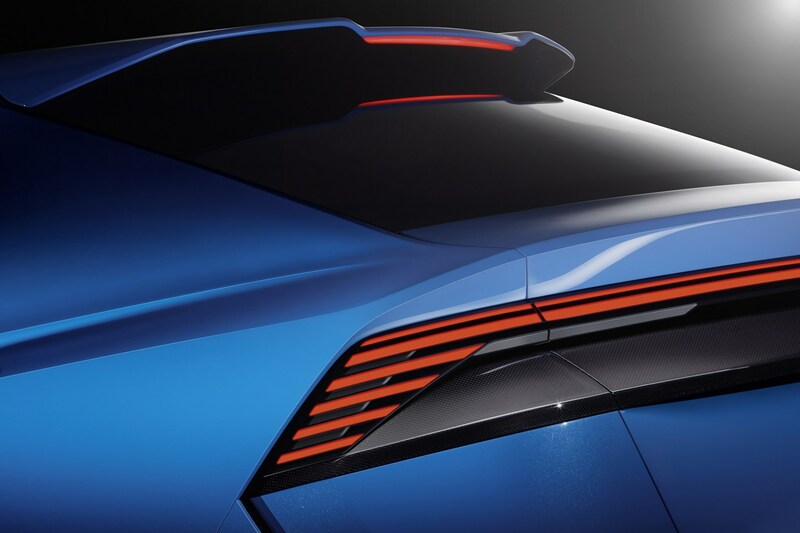 The lower, 8.6-inch monitor, meanwhile houses menus for the climate control, heated seats and other driver-assistance features include the optional trailer assist (where the car automatically reverses into a space with a trailer attached) and parking sensors/cameras. 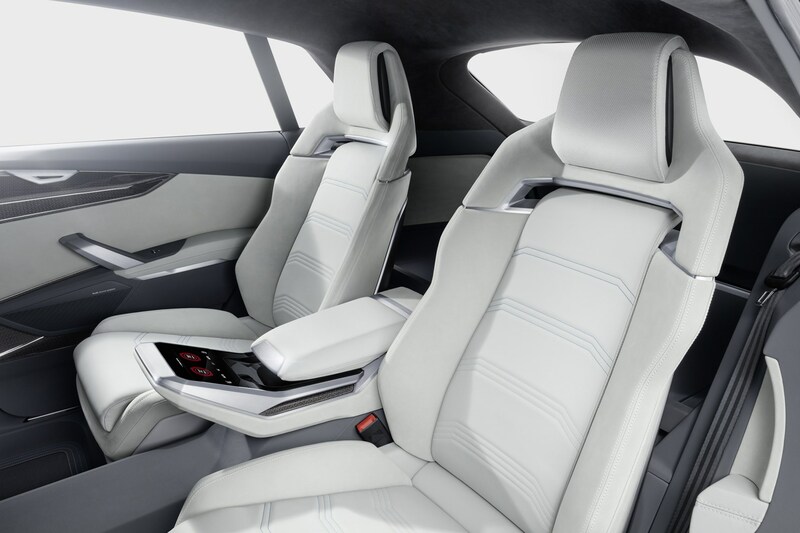 Overall, it’s a beautifully appointed cabin packed with expensive feeling, well screwed together materials and comfortable, supportive leather seats. 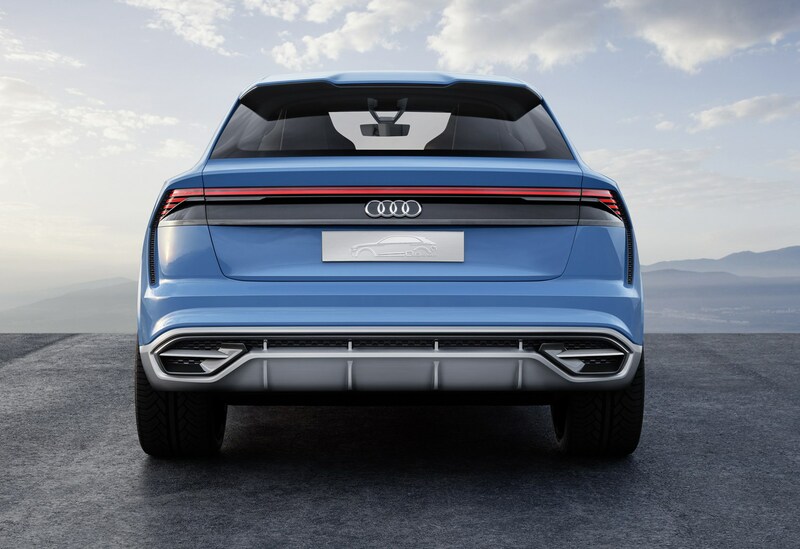 The view out is akin to a slightly lower Q7 (or a slightly higher A8 – whichever way you look at it), yet you still get the commanding SUV driving position popular with many buyers. Customers will only be able to spec one engine from launch – a 286hp 3.0-litre TDI badged the 55 TDI under Audi’s new naming structure. 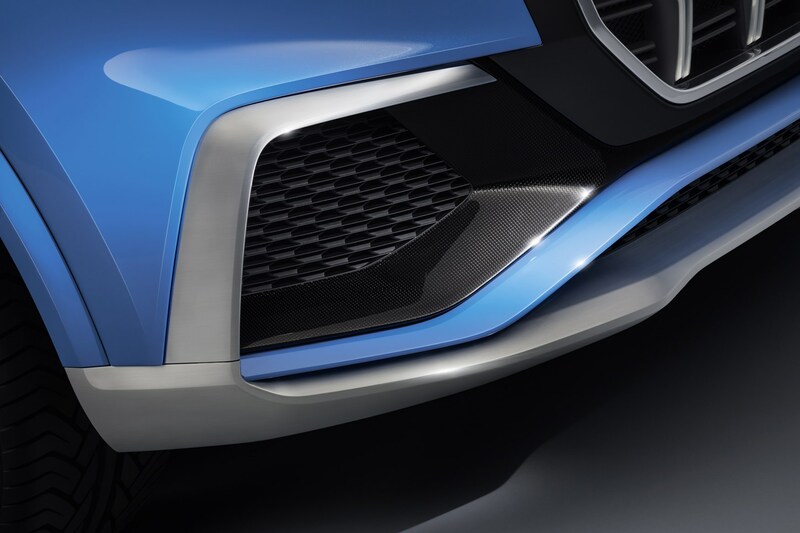 Producing a hefty 600Nm of torque and capable of accelerating from 0-62mph in 6.3 seconds, it’s a punchy powerplant more than capable of hauling the Q8’s sizeable 2.1-tonne kerbweight around. Other engines set for launch at the start of 2019 include a 340hp petrol (named the 55 TFSI) and a less powerful 3.0-litre diesel (45 TDI). We’ve driven the former and can confirm it’s even more refined than the diesel, yet can’t quite match it for effortless mid-range acceleration. 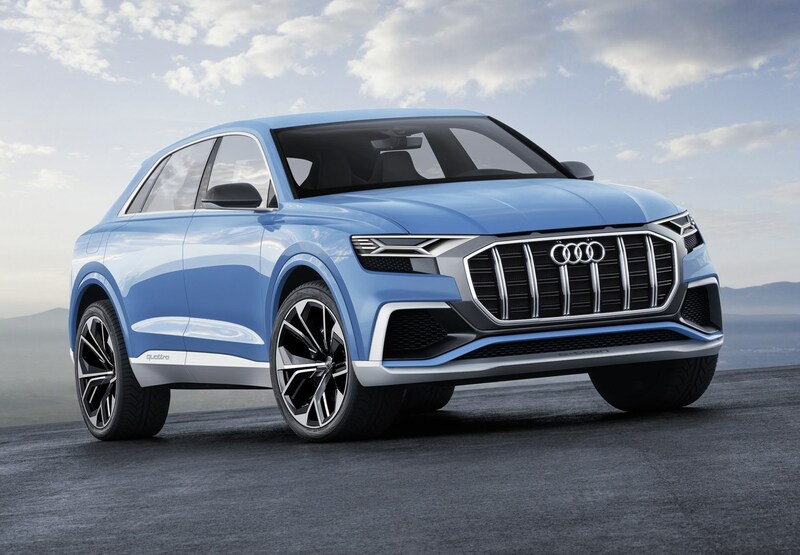 A 600hp+ RSQ8 version is also rumoured to be on the way at some point in 2019. 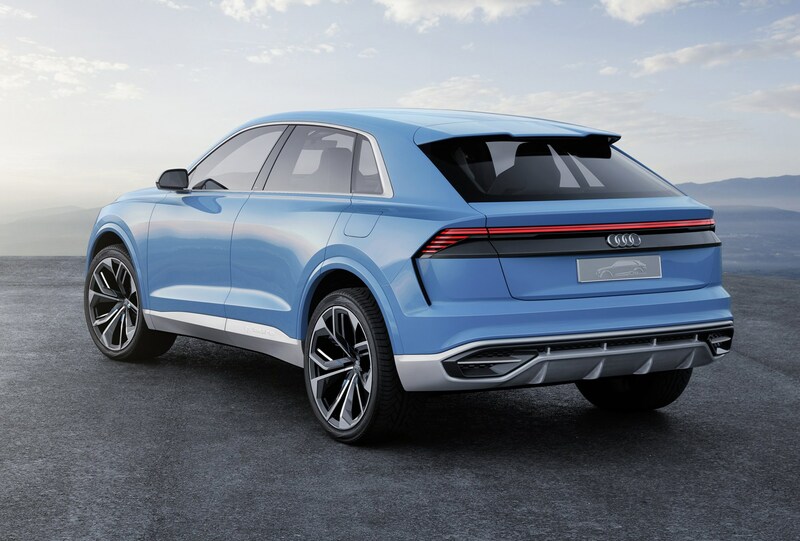 Also, a hybrid version – similar to the Q7 E-tron – is thought to be in development, yet there’s been no confirmation yet of when it will be launched. 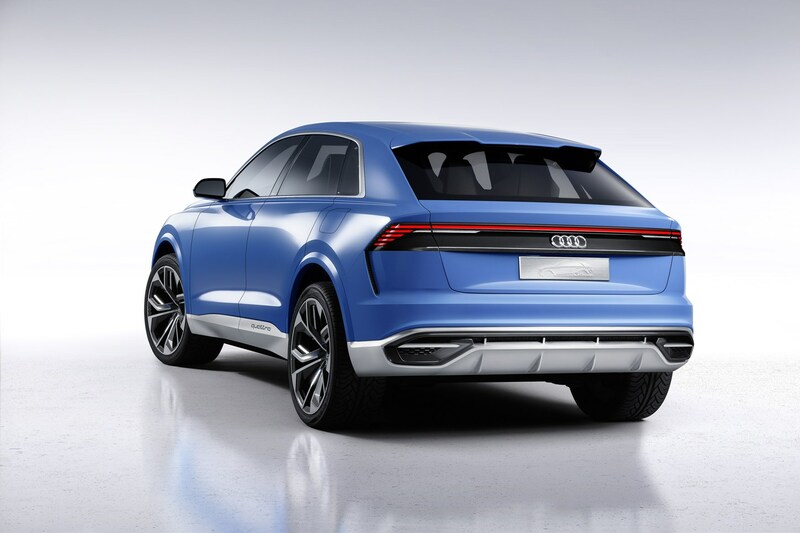 Right from the off, it’s clear that the Q8 is a sportier variant of the Q7. It shares its ability to cover major distances with ease, and thanks to standard-fit air suspension deals with all but the worst road surfaces. The fact that it does so while displaying noticeably more agility in the corners is an impressive feat. Featuring sharper, more direct steering, the Q8 feels keen to change directions and use its standard-fit Quatrro all-wheel drive to power out of corners. It’s an effective machine, even if it’s still far from the last word in driver enjoyment. Available in base S Line and top-end Vorsprung specs, the Q8 comes with a strong selection of standard equipment no matter which variant you go for. Indeed, all models benefit from air-suspension, cruise control, Virtual Cockpit, leather upholstery and mild-hybrid technology (helping to reduce fuel consumption and emissions). 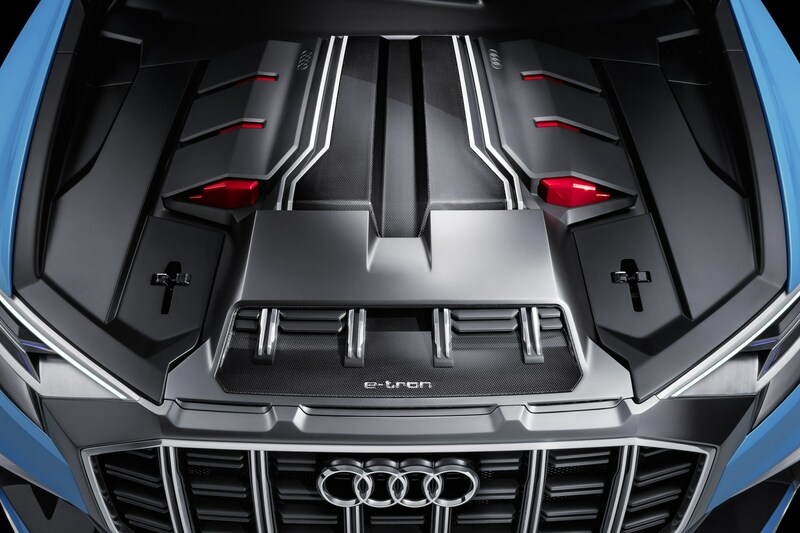 Upgrade to Vorsprung trim, however, and the toy box expands with goodies such as a head-up display, automatic parking, adaptive cruise control and a Bang & Olufsen premium sound system all included in the price. Offered either as an option or as standard on the Q8 are a hi-tech selection of 39 driver assist systems. 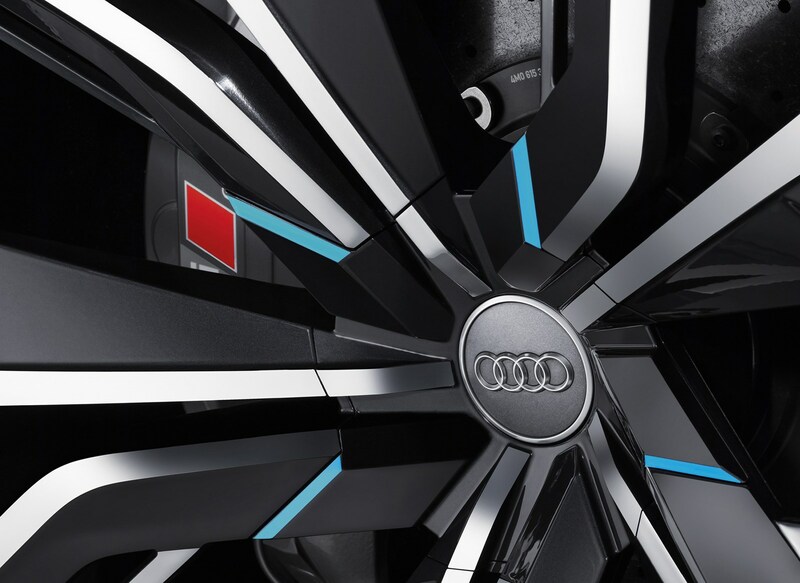 From Audi’s Pre sense with autonomous emergency braking to the front camera enabling traffic sign recognition, the Q8’s gadgets are designed to provide a safer, more relaxing all-round drive for its occupants. 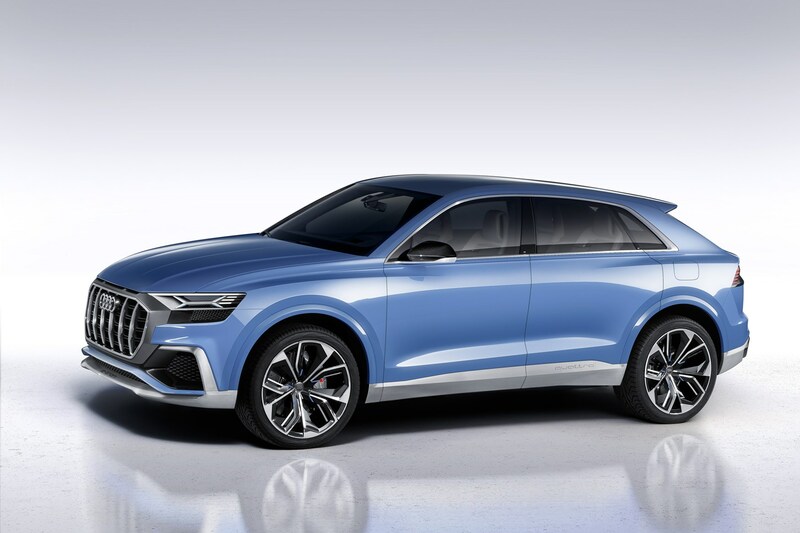 Said occupants are limited to five ­– unlike in the seven-seat Q7 – but practicality is still competitive with the Q8’s rivals. Those in the back will find reasonable headroom (although those over six foot may feel the pinch) and excellent legroom, plus four-zone climate control and the option of heated outer rear seats. Bootspace, meanwhile, is 605 litres with the rear seats in place and 1,755 with them folded down. 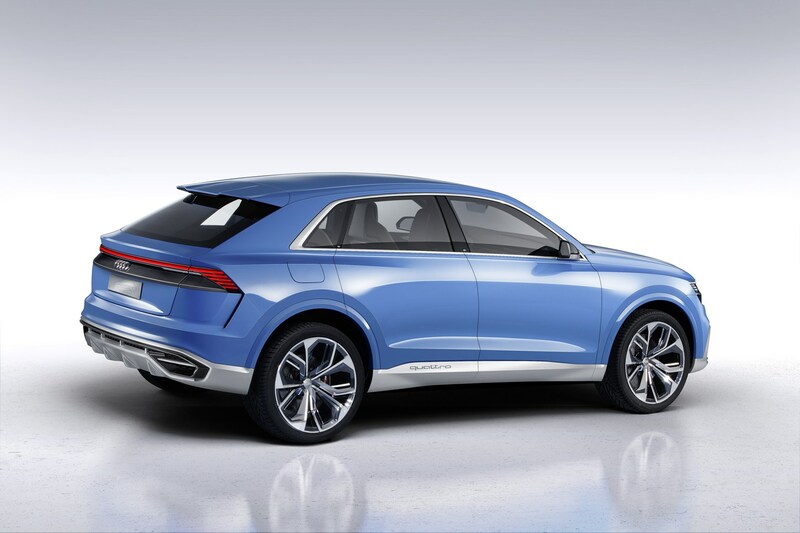 Again, this is less than what’s available in the Q7, but comparable to rivals from BMW, Audi and Range Rover. If you fancy a large SUV – such as the Q7 – but don’t need seven-seats (or the boxy design that usually comes with it) the Q8 is an excellent option. 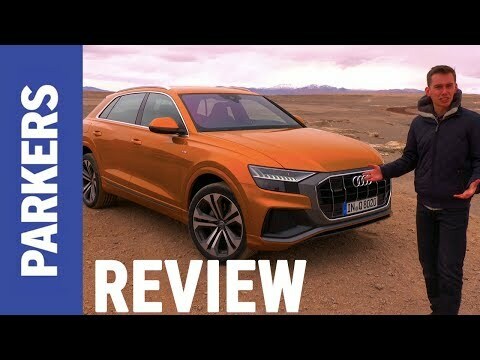 Thanks to its updated cabin and engines, it is the most complete SUV that Audi makes (and one of the best SUV-coupes around), but with a price tag starting at around £65,000, it may be hard to justifying buying one over the – still excellent – Audi Q7.